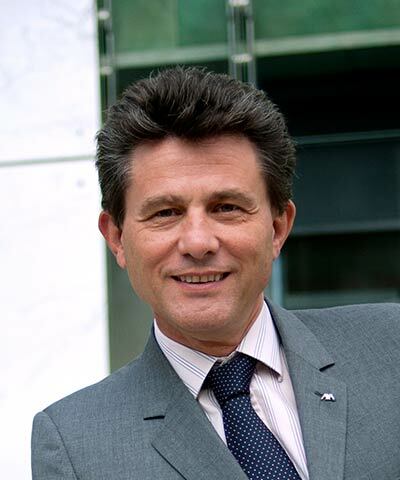 Henri de Castries began his career in the French Finance Ministry Inspection Office in 1980. In 1984, he joined the French Treasury Department, where he played an active role in several privatizations before being appointed to oversee foreign exchange markets and balance of payments for the Treasury. In 1989, de Castries joined AXA’s Corporate Finance Division and in 1991 was named Corporate Secretary. Two years later, he was appointed Senior Executive Vice President for the Group’s asset management, financial, and real-estate businesses and in 1994, he assumed the additional role of overseeing North American and U.K. operations. In 1996, de Castries played an active role both in preparing the UAP merger and in managing the subsequent integration of the two groups. De Castries served as Chairman of the AXA Management Board from May 2000 to April 2010. Since April 2010, he has served as Chairman and CEO of AXA.